At the time of launch, the International Space Station was flying about 250 miles over the south Atlantic Ocean north of the Falkland Islands . Less than 10 minutes after launch, the resupply ship reached preliminary orbit and deployed its solar arrays and navigational antennas as planned. The Expedition 53 crew will monitor key events during Progress 68’s approach and docking. To join the conversation about the space station and Progress 68 online, follow @space_station on Twitter. What type of fuel is needed on the ISS, and how is it stored and transferred? 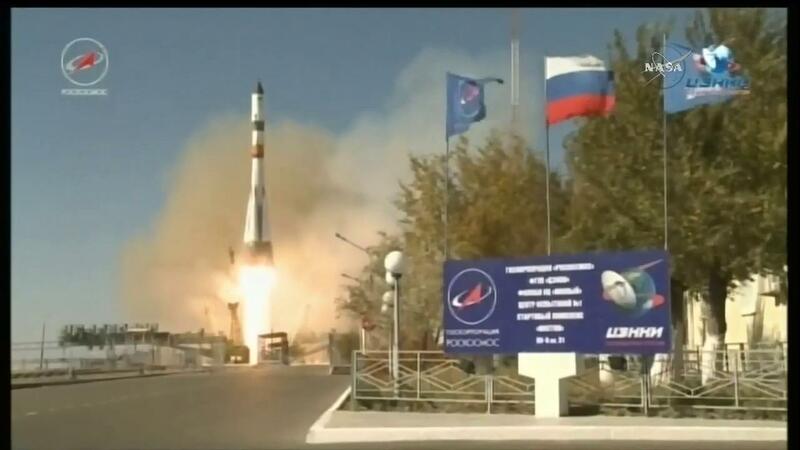 The Russian Progress cargo spaceships deliver fuel to the space station. Everyone on the spacestation is a rolemodel for me am 10. Excellent role models Shane!! Remember the dedication they put in on all the hard work.